Right now Starbucks Reserve coffee Panama Carmen Estate is at the Roastery, and it’s slated for a national release within the next two months. I happen to really like this coffee, so I thought I would spotlight it. 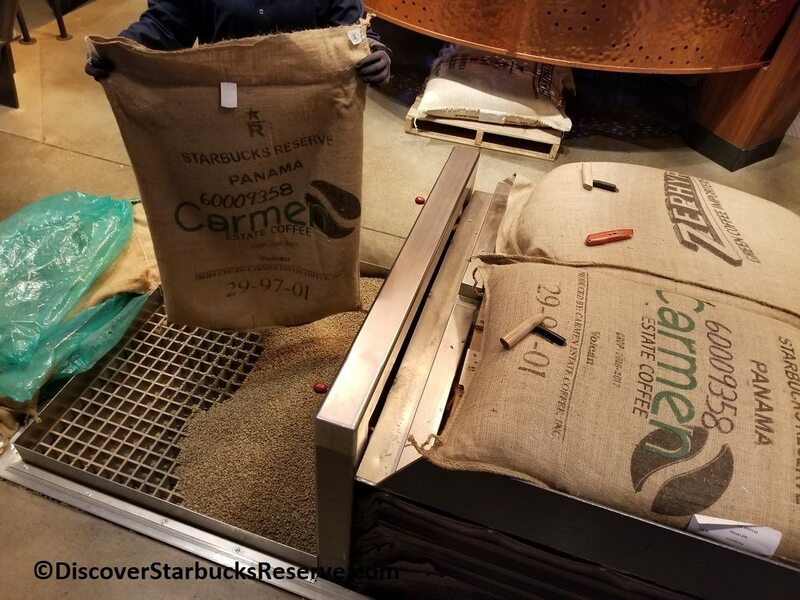 I dropped by the Roastery today and saw Panama Carmen Estate being loaded into the Green Coffee Loading Pit. 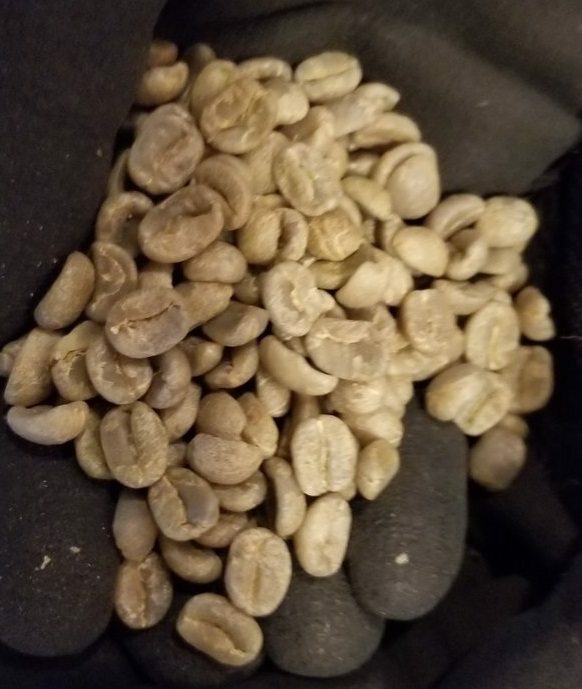 One fun thing about the Roastery is that you can see coffee at various stages, more than just the final product in a cup or in a Flavorlock bag. You can, potentially, experience coffee from green, unroasted bean to your cup. 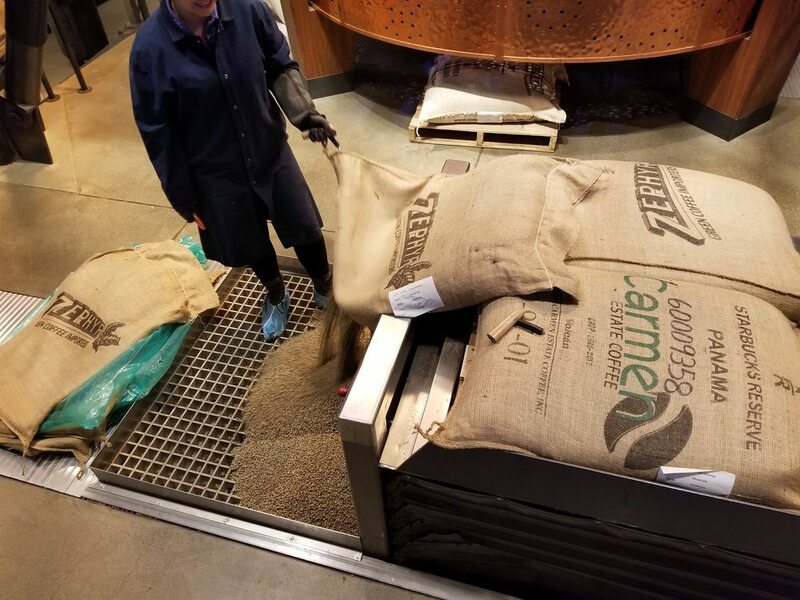 The Green Coffee Loading Pit represents one small step in ensuring coffee quality, and it’s a step that is rarely known by even Starbucks coffee masters! The burlap sack is what the farmer ships the green coffee beans to Starbucks in. The front of it /design is what the farmers decide to put on it, and not what Starbucks asks for. There are a few more images of burlap sacks here. 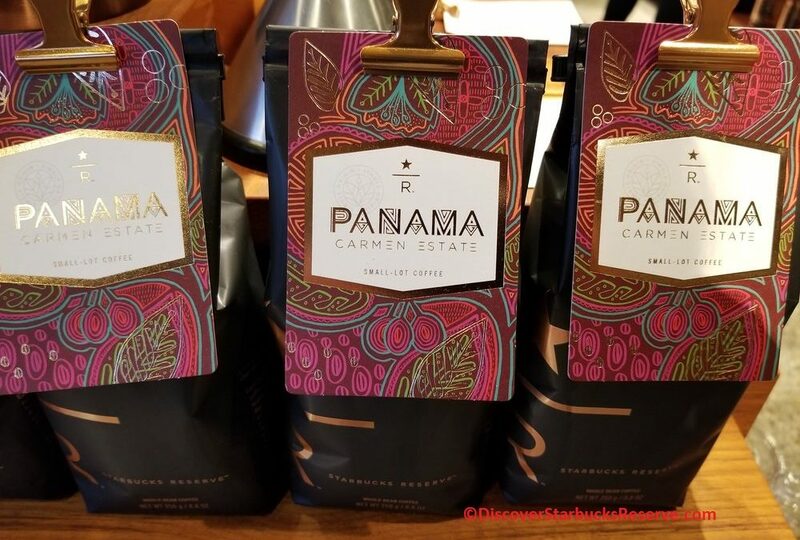 Be on the look out for Panama Carmen Estate coming to a Starbucks near you. Look for wonderful sweet lemon flavor notes, and an all-around excellent cup of coffee to start your day! You can keep track of all your Starbucks Reserve tasting cards by following DiscoverStarbucksReserve.com – That site lists United States released Reserve coffees (with taster cards) since the opening of the Roastery in December 2014. Excellent Coffee Pairing: Starbucks Sumatra and Pop Gourmet Rogue Blue Cheese Popcorn!